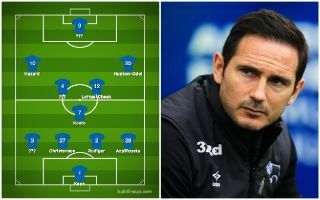 With the pressure mounting on Maurizio Sarri ahead of Chelsea’s League Cup final clash against City, we thought of what Blues legend Frank Lampard’s ideal lineup would be. According to Sky Sports, the Chelsea hierarchy have identified Zinedine Zidane and club legend Frank Lampard as their top targets should Maurizio Sarri be sacked. Chelsea have been extremely disappointing in recent weeks, firstly, the Blues were hammered 6-0 by Manchester City – then, they failed to show their fans the reaction they wanted by falling to a 2-0 defeat to Manchester United in the FA Cup. The pressure is mounting on Maurizio Sarri and with a League Cup final and a crucial Premier League clash against Tottenham in the coming days – the Italian could be given his marching orders anytime within the next week, should Chelsea lose both games. The Telegraph reported yesterday that the west London club would consider a move for their former assistant manager Steve Holland should Sarri be sacked – the report highlights that the Italian could very well be sacked next week. This team looks like it could be quite the force in the Premier League. Chilwell is likely to attract the interest from some of England’s biggest clubs given his impressive performances for Leicester and the fact that he recently broke into the Three Lions team. 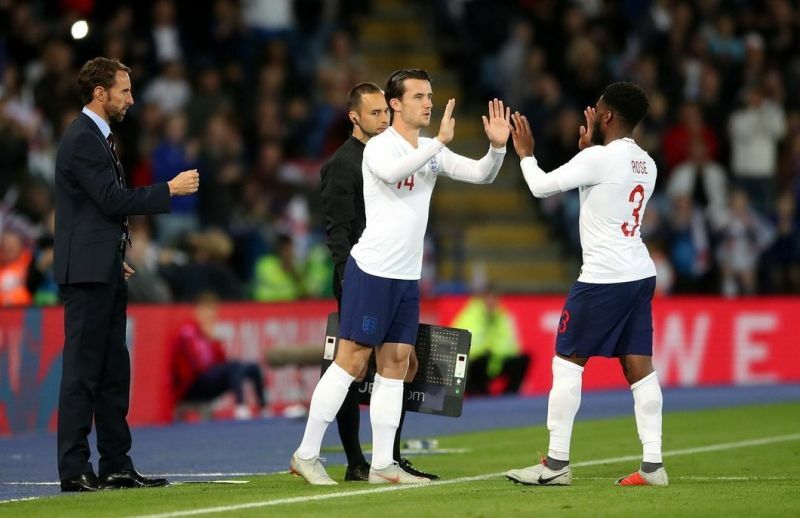 The 22-year-old made his England debut in September and has already won himself five caps, given that Danny Rose and Luke Shaw are both injury prone – an investment into Chilwell could be a very shrewd move. Chilwell coming on to make his England debut. Marcos Alonso has dropped into the levels of the abyss for Chelsea this season, the Spaniard was a revelation during Antonio Conte’s title-winning season but his lack of defensive awareness has been exploited far too often recently. The Guardian reported that City were pondering a £50m move for Chilwell in the January transfer window, Benjamin Mendy’s continued injury problems could force Pep Guardiola to sign another left-back. Lampard would probably look to integrate Kante back into his usual holding midfield role. This way the Frenchman can really act as the team’s anchor – Kante hasn’t fared so well this season given that Sarri has opted to use the World Cup winner in a more advanced midfield role. No one will know how important blooding Chelsea’s youth and academy graduates into the team better than Lampard. The 40-year-old’s return to Chelsea could give Loftus-Cheek the chance he’s been waiting for, the 23-year-old has rarely been given a consistent run in the first-team. Loftus-Cheek could drive with the ball from midfield, the ace’s ability with the ball at his feet for someone standing 6ft4 inches tall is unbelievable. Depending on how Mason Mount fares in the run-in to the end of this season, the 20-year-old would also be a shoe-in for this position. 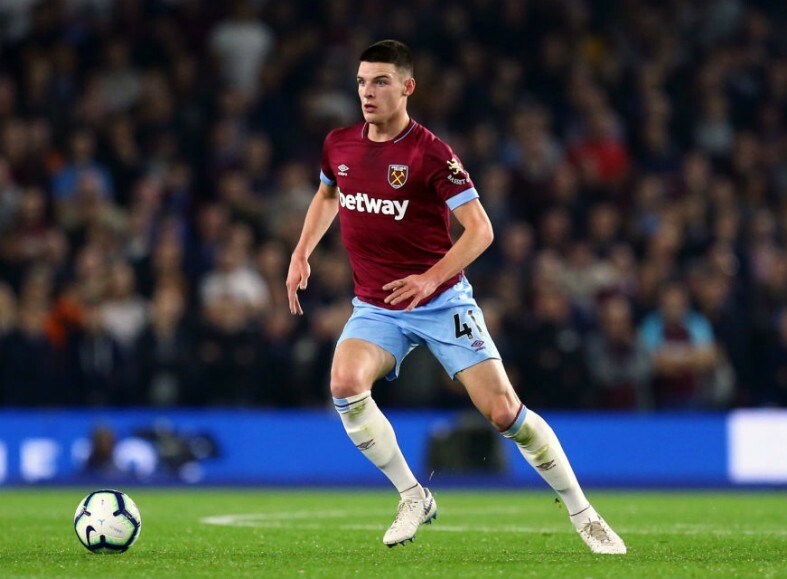 West Ham midfielder Declan Rice is setting the Premier League alight with his performances this season, Frank Lampard could use his connections to ensure that Stamford Bridge is Rice’s destination should he decide to leave the Hammers. Chelsea will have to battle with Pep Guardiola’s Manchester City to land the star’s signing, one thing to consider is that the Blues would have to convince Rice to join them once again – the midfielder told Sky Sports last year that he was ‘devastated’ when the west London club released him, aged 14. According to The Sun, Rice is expected to cost around £70m in the summer – quite the fee but Chelsea need to build for the future considering that a transfer ban is looming over them. 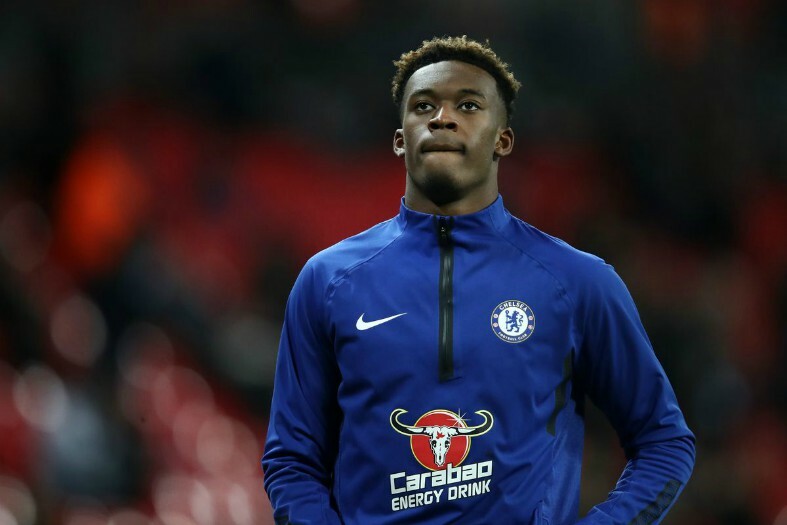 Callum Hudson-Odoi could leave Chelsea if he isn’t given more first-team opportunities. Lampard could be exactly what Hudson-Odoi needs, the teenage sensation can’t do much more for Chelsea yet his chances in the first-team have been limited for a player of his obvious talents. Should Lampard be able to convince Hudson-Odoi to stay at Chelsea, I think he’ll be willing to phase the youngster into a starter for the team. With Lampard at the helm Chelsea could finally be about to play some of their academy talents. This would be an audacious swoop for Lampard and the Blues as it’s unlikely that Manchester United will be willing to sell to their rivals, but considering that Lukaku is falling down the Red Devils pecking order, United may have to cash in on the star soon. Lampard knows the Belgian well from the three years that he was on Chelsea’s books, it might be time for Lukaku to start thinking how he can get his career back on track and a move back to Stamford Bridge would certainly set him on his way. 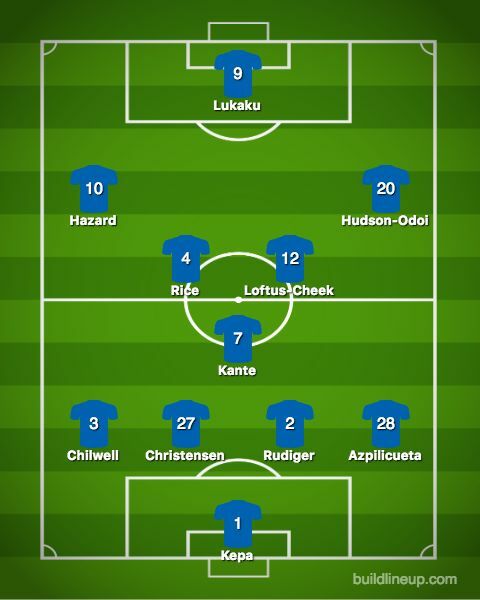 This team could cause some problems for the Premier League’s top six and they certainly have the potential to become a team with serious title-winning credentials. Should a return for Lukaku fail to come to fruition; the Blues could extend the loan of Gonzalo Higuain, opt for Olivier Giroud up front or Lampard could give a chance to Tammy Abraham – the 21-year-old has shone on loan at Aston Villa this season.